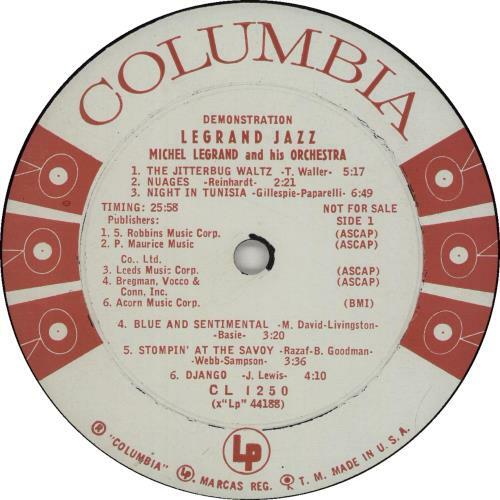 MICHEL LEGRAND Legrand Jazz (Very Rare pre-release promotional sample for the 1958 US 11-track deep groove MONO LP, with custom red on white 'six eye' Columbia 'Demonstration' labels & machine stamped '1F/1D' run-offs. 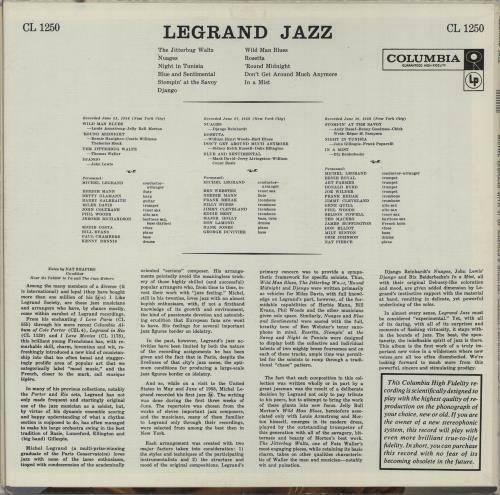 The album features the greatest jazz compositions of the day arranged by Legrand, performed by thirty-one of America's greatest jazzmen at the time of recording, including Miles Davis, John Coltrane, Bill Evans, Donald Byrd, Teo Macero, Ben Webster & more. 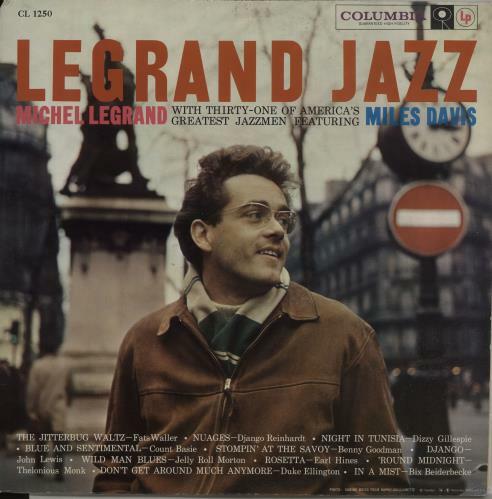 The pastedpicture sleeve appears near mint with just a spot of faint corner wear. The vinyl too is near mint with little evidence of play CL1250).